Unless, of course, you are a Crimson Hair Studio client. We have December on lock down, with Pop Up Holiday Shops every Saturday and an opportunity to make a donation to The Ronald McDonald House charity! “The salon attracts so many different people, with so many different talents, and especially this time of year, a million different needs! 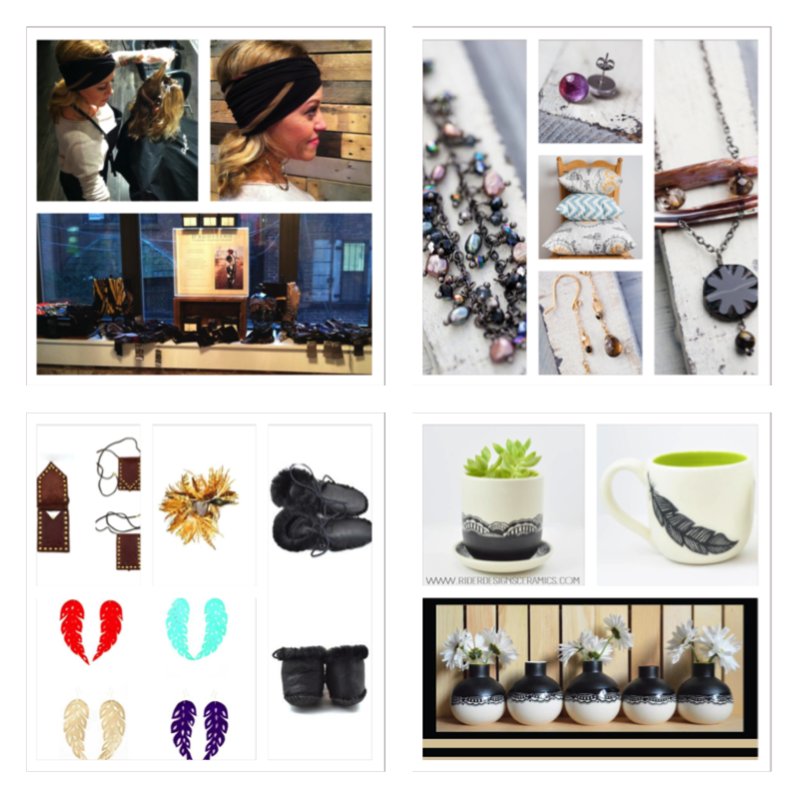 I thought it would be great to feature Philadelphia artisans and make their beautiful goods available to share with our clients,” says Jen Colloton-Eberwein, Crimson Master Stylist and Owner. This time of year revels in including both giving and receiving, to keep you warm, fuzzy, and fabulous to round out 2015. Melissa D’Augostino is a fabric artist who hand dyes and makes beautiful Headwraps, on sale for the entire month. Each piece is one of a kind and entirely assembled in Philadelphia. These statement accessories are perfect to pop on and run out, but also really dress up a simple look with its blend of nostalgic glamour and modern style. Bees and Buttercups will be featuring their handmade jewelry & gifts, which includes a beautiful array of home goods, including pillows as well as small, muti-material, fold over zipper clutch bags. 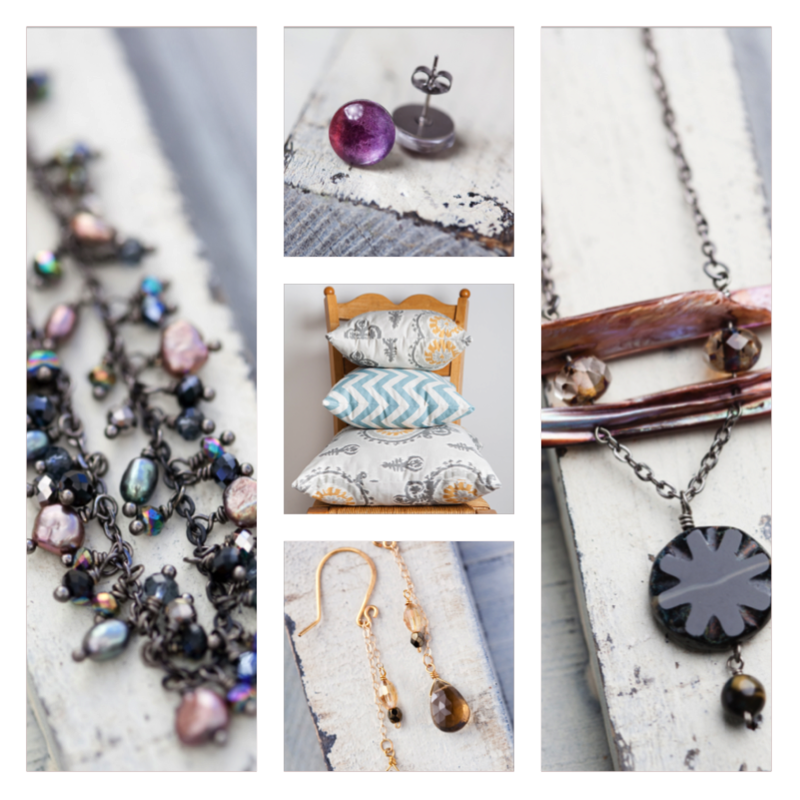 The handcrafted earrings, bracelets, necklaces & photo jewelry feature semi precious stones & bold designs which are for the modern woman who likes to keep things simple with a splash of color or a one-of-a-kind design. Bees and Buttercups designs are inspired by the ocean as well as international cities; each piece is designed and handmade by mother/daughter team Nancy Scott & Laura B Scott. Brides may want to consider placing a custom order for their wedding party jewelry! 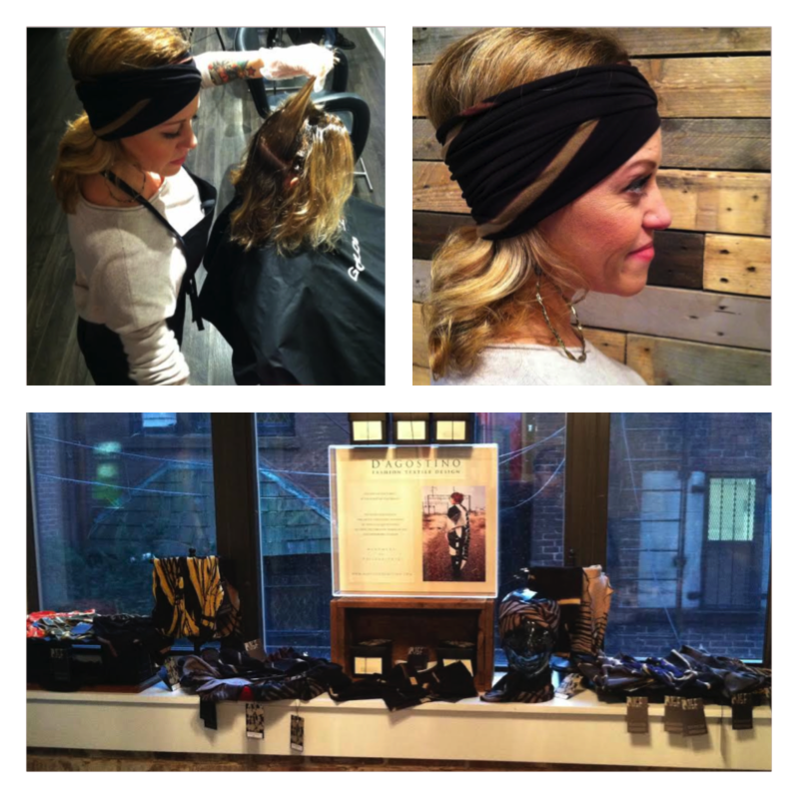 Nomaddicts leather earrings have been displayed at Crimson (usually on one of the stylists) all year! 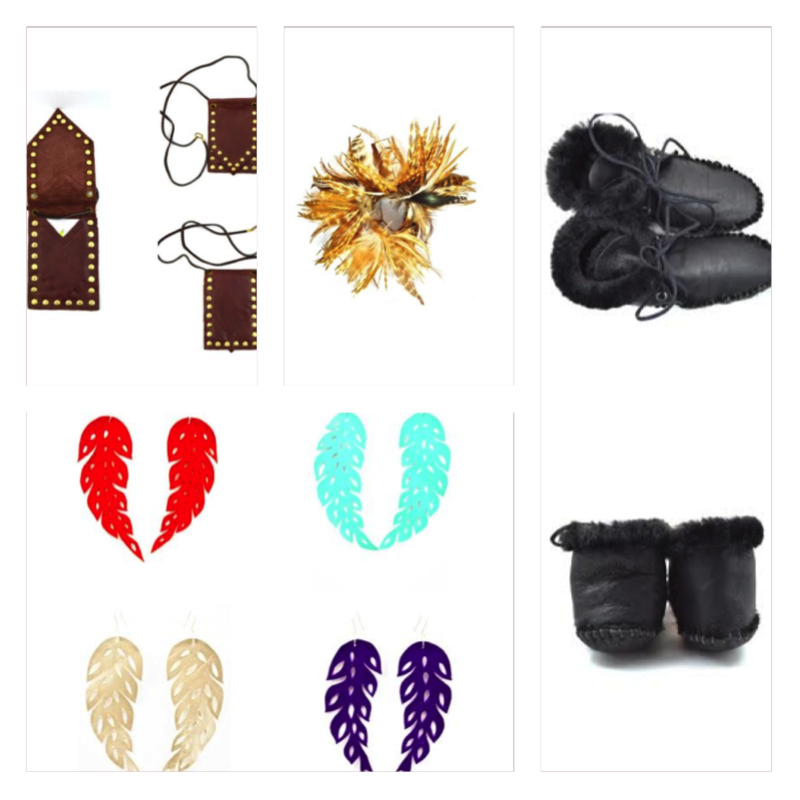 Their Holiday Pop Up Shop will offer the opportunity to check out some of the other handmade leather goods: a variety of earrings, leather bracelets, cuffs, moccasins, hair accessories, wallets and bags. 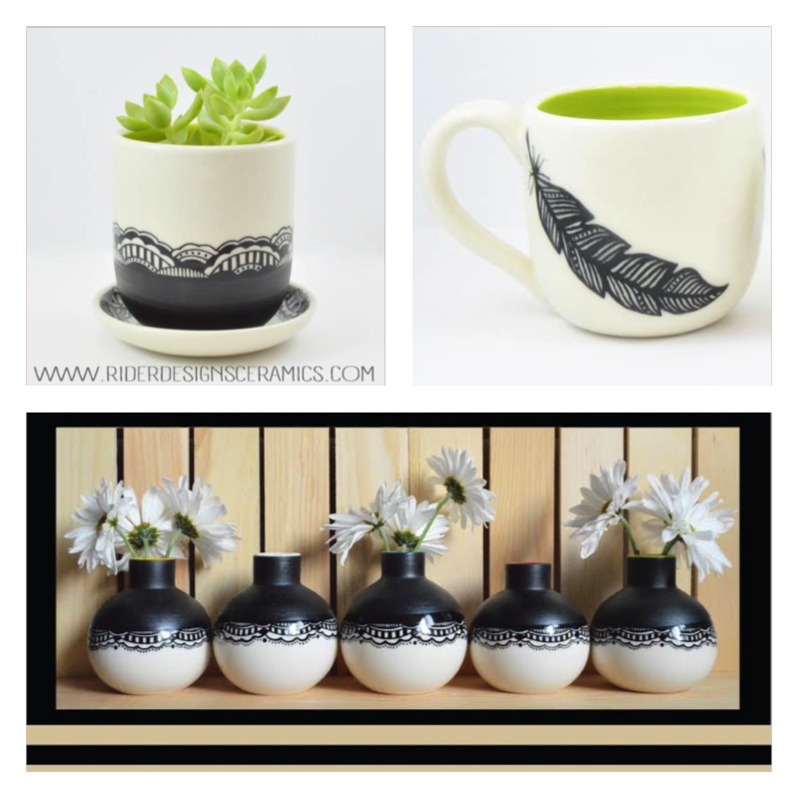 Lauren Rider, the wheel throwing porcelain artisan behind Rider Ceramics, will be showcasing her planters, mugs & vases, as well as porcelain and sterling silver earrings and necklaces. During this busy time of year, we would like to take a moment to give thanks to you, our clients, who have made our jobs and lives more fulfilling. We appreciate your loyalty; without you, our success as a team would not be possible. In lieu of a holiday gift, a donation will be made in your name on behalf of Crimson Hair Studio to The Ronald McDonald House.